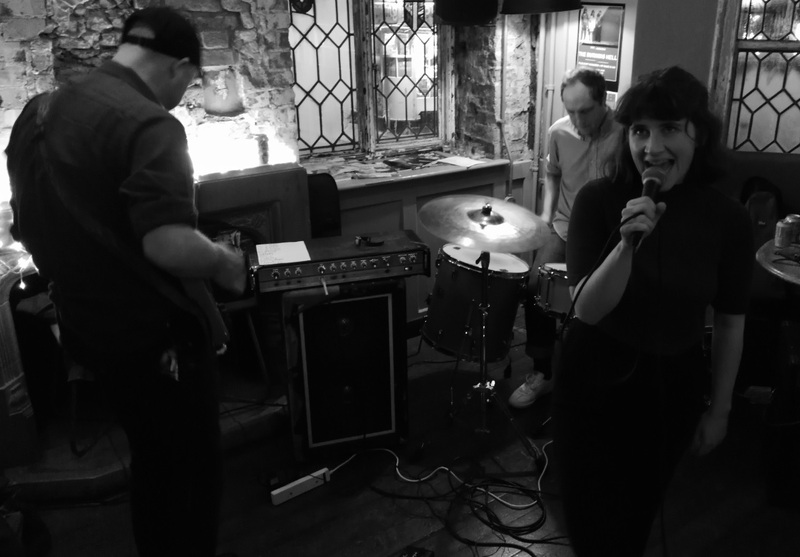 I have been aware of the name Vital Idles for a while now, as it is similar to the legendary Bristol 5-piece, IDLES and the name often comes up in my internet searches, but in all honesty I hadn’t heard what they sounded like until this Monday. When I investigated Vital Idles, I was immediately filled with an astounding rush of nostalgia! OMG I had no idea that any bands anywhere sounded like this anymore! Their music immediately conjured up very fond memories of my late teenage years, listening to the week night John Peel shows from 10pm till midnight. It’s there that I could hear bands that sound akin to Vital Idles, bands like early Siouxsie & The Banshees, X-mal Deutschland, The Mo-dettes, Kleenex and The Raincoats to name just a handful. Yes indeed we are talking about minimal post-punk indie-pop – you know the sound that Brighton based label Attrix Records used to specialise in back in the day, with the likes of The Lillettes and The Chefs etc. I was checking Vital Idles out as I was informed of their imminent appearance at Brighton’s oldest boozer, the compact East Street Tap. Apparently there has been liquid refreshments available on that site from at least 1568, and these days one can still sample a mouth watering selection of keg and cask beers and so it would be rude not to swan on down there and participate in some fine music and ale, just as others have done before over the centuries. On arrival at East Street Tap, I purchased my pint of locally brewed ale from Firle near Lewes and headed on upstairs. Fortunately the Vital Idles were on hand for a little discussion. It turns out that they have performed in Brighton before on Friday 13th July 2018 at the sadly now defunct Sticky Mike’s Frog Bar. That same night I was out in Brighton up at the Prince Albert, where I was sampling the punk joys of Chelsea and The DeRellas. 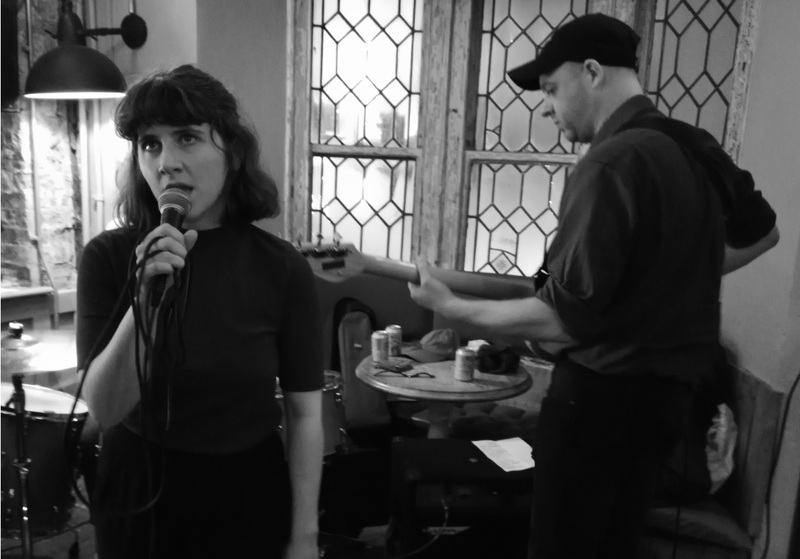 Vital Idles are Jessica Higgins, Matthew Walkerdine, Nick Lynch and Ruari MacLean and they performed their first concerts back in 2015 in Glasgow where they are based, although singer Jess informed me that she is in fact from Manchester. 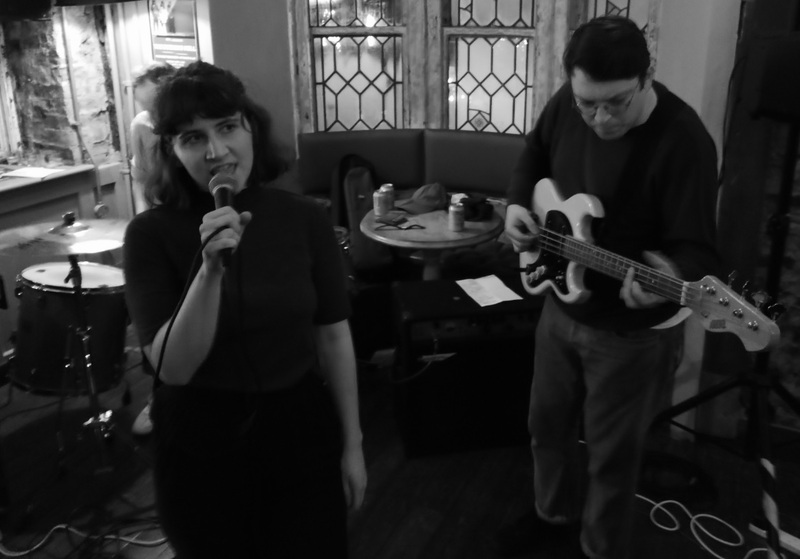 The quartet not only specialise in quirky post-punk pop music, but Matthew, Nick and Jess are responsible for Glasgow DIY publishing institution ‘Good Press’ – an independent volunteer-staffed zine and art book shop. More information on their creativity can be found HERE. 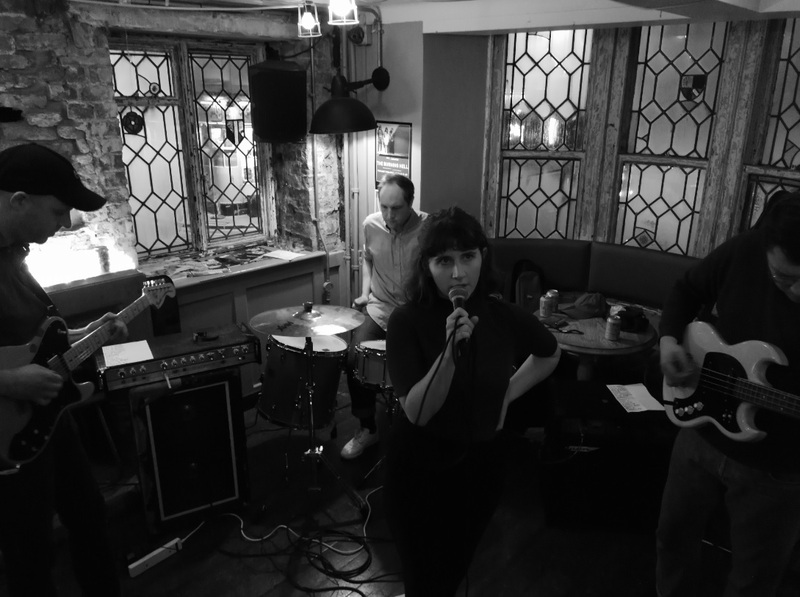 Not to be left out, the final member of the outfit, guitarist Ruari MacLean’s pedigree stretches back to breakneck-indie-pop group Golden Grrrls and the Rose McDowall band. 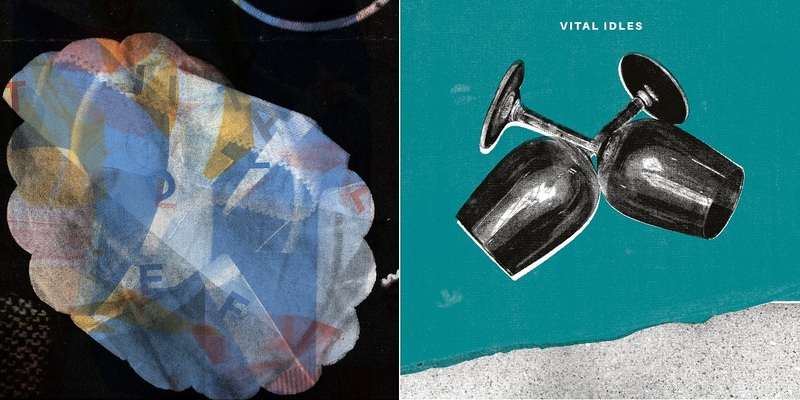 Following two self-released demos and a sold out debut 7”, Vital Idles unleashed their debut album last summer entitled ‘Left Hand’ which I have to report that I purchased this evening and the band members kindly signed it for me. 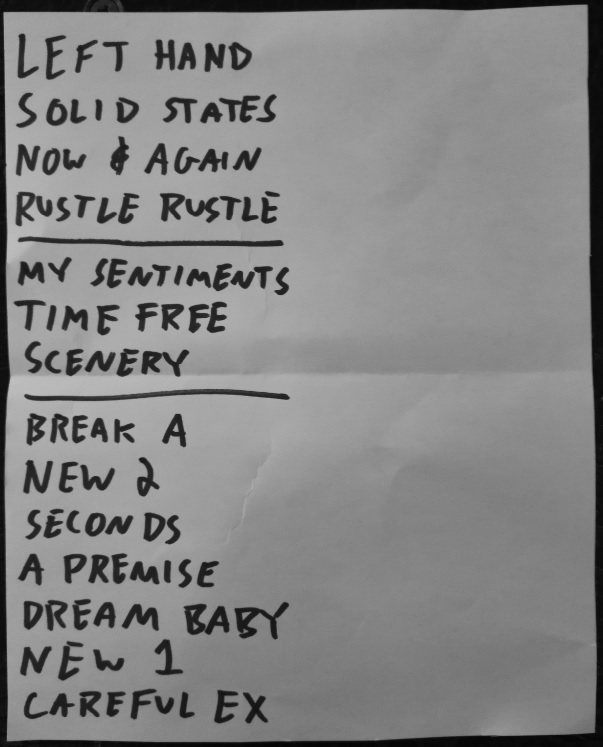 Tonight, their set was made up of 14 compositions, 5 of which appear on their LP, all four tracks from their brand new EP were delivered with the remainder being a selection of songs from previous releases and tunes that have as yet to be recorded, two of which have as yet to be named. Jess’s surreal askew vocal delivery was almost at odds with the primitive minimalist bass, guitar and drums as though it just doesn’t belong, but I find that’s the beauty of it. It is off on a tangent like the Gang Of Four and The Smiths used to be and I wouldn’t have it any other way. ‘Left Hand’, ‘Solid States’, ‘Now & Again’, ‘Rustle Rustle’, ‘My Sentiments’, ‘Time Free’, ‘The Scenery’, ‘Break A’, ‘New 2’, ‘Seconds’, ‘A Premise’, ‘Dream Baby’, ‘New 1’, ‘Careful Extracts’. Support this evening came from The Legend! and Radisson Blue. 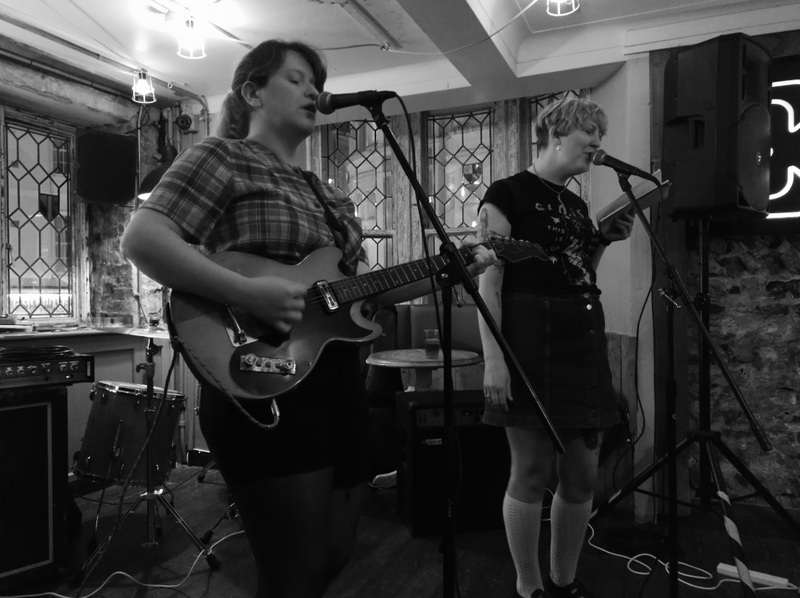 Radisson Blue kicked off the evening and is the creation of Brighton based Roxy Brennan, who is a talented singer-songwriter who has previously played in bands such as Joanna Gruesome, Trust Fund and a variety of other exceptional DIY bands. Her Radisson Blue moniker shows her softer, and delicate side. This evening she was accompanied by a female friend and the girls harmonies together were a pleasure to listen to during their seven song set. Listen to a couple of her tracks HERE. ‘Miso’, ‘Cherry Tomato’,https://radissonblue.bandcamp.com/track/cherry-tomato ‘Timeline’, ‘House’, ‘Full Moon’, ‘Balcony’, https://radissonblue.bandcamp.com/track/balcony ‘Lying In The Bath’. The second support was The Legend! aka Jerry Thackray. 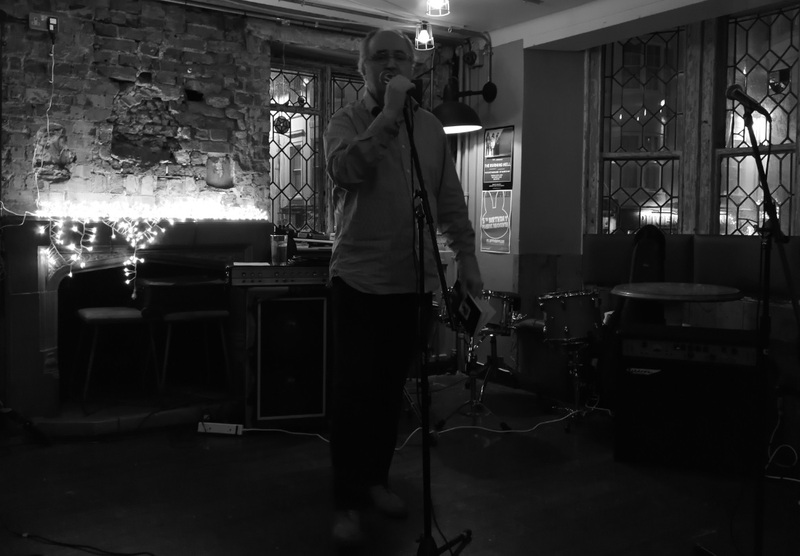 His performance was ‘memorable’ and his musical output combines spoken word perceptions with cinematic drones. This is clearly not an act to everyone’s taste and goes down the lines of Ivor Cutler, Attila The Stockbroker and possibly John Cooper Clarke. See what I mean HERE if you dare!